Today, after many months fighting a criminal case brought by BRW Sofa, everything ended positively for our comrade. We are satisfied that the company did not manage to criminalize members of our union for our support of another comrade, fired by the company after exposing some violations at the factory. ln Poland, like in some other countries, unionists are faced with an unsupportive system. When workers start to fight back and denounce poor working conditions, they are often repressed by dismissal and lawsuits. Bosses cite "slander", "revealing company secrets" or the very broadly interpreted "acting to the detriment of the company" in their suits against workers who have exposed various problems or speak about them in the course of a conflict. While such repression is commonplace, it is rare for any company to go so far as to seek criminal prosecution. And this for standing up for another unionist and publicizing the story. The case represented a serious turn in labour relations, an attempt to criminalize our activism and strike fear into workers around the country. We will not keep quiet about what is going on. Hundreds of thousands of workers each year are cheated by bosses, forced to work on trash contracts instead of normal ones which they are entitled to. Many more work in unsafe conditions or are overworked, beyond their strength. We will not turn a blind eye to this and pretend it is all right - even if it means we have to fight with situations like this. 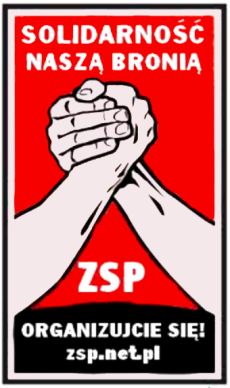 The Multibranch Union in Warsaw congratulates our comrade on the positive outcome of the case. We would also like to thank all comrades who have gone to the court or otherwise shown their support.